The DCS: Strait of Hormuz map is the strategic choke point between the oil-rich Persian Gulf and the rest of the world. Flanked by Iran to the North and western-supported UAE and Oman to the south, this has been one of the world’s most potentially dangerous flash points for decades. The region also includes the vast Arabian Sea that is well-suited to combat aircraft carrier operations. Be it from land bases in Iran, UAE and Oman, or from the deck of an aircraft carrier, the DCS: Strait of Hormuz map will offer a wide array combat mission scenarios to prove your metal. • 90,000 sq nm highly detailed map area that centers on the Strait of Hormuz. • As part of DCS World 2.5, it will support highly detailed terrain, textures, and buildings. • Numerous, accurately rendered airbases in Iran, the UAE and Oman. 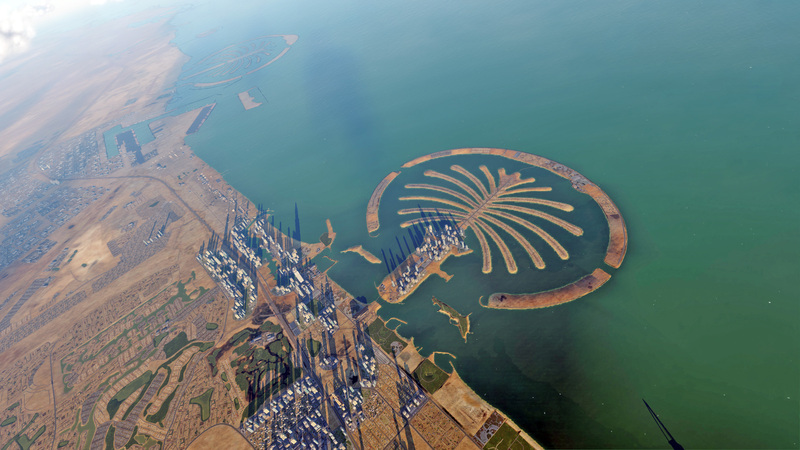 • Detailed cities such as Dubai and Bandar Abbas with unique buildings. • “Strong Hold” islands such as Abu Musa and Greater Tunb. 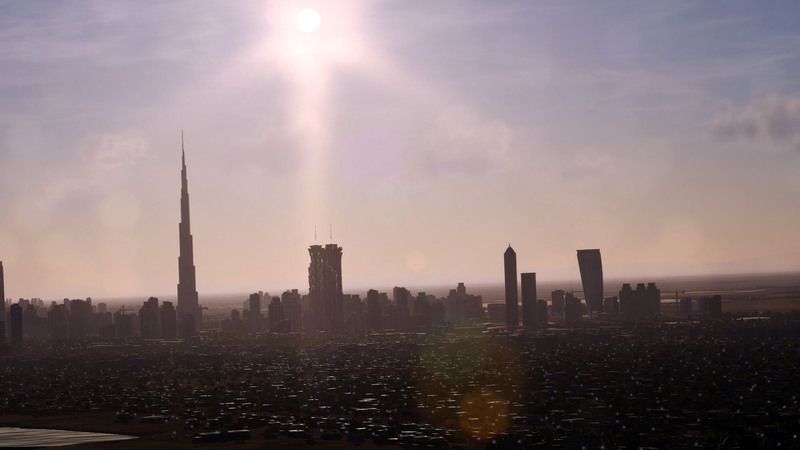 • Iran, the UAE and Oman will be added to the list of DCS World nations. Viendo lo bien que va Nevada con los aviones rusos y lo que ha tardado en salir... paso de este, de momento. Ya tendré tiempo de comerme mis palabras. Hagas lo que hagas.....¡Te arrepentirás! Y se amplia el mapa del golfo. Salida del mapa del golfo persico para el 23 de mayo del presente. Mas noticias de Ormuz desde el FB de ED. Se estan añadiendo dos bases nuevas, Aeropuerto internacional de Shiraz (330 millas nauticcas de Al Dhafra) y Aeropuerto Internacional de Kerman (380 millas nauticas de Al Dhafra) que ponen dichas bases a una distancia similar a la que estaban las bases mas alejadas del caucaso. Tambien tienen planeado despues de terminarlas, nuevas bases aereas y puntos en el terreno (tal vez quieran ir completando todo el mapa con el tiempo). As mentioned in yesterday’s Hornet video, we are adding two, new airbases to the Persian Gulf Map – Shiraz International Airport (330 nm to Al Dhafra) and Kerman International Airport (380 nm to Al Dhafra). Both airfields have military ramps and facilities. With the addition of these two airfields, it makes the Persian Gulf map about the same size as the Caucasus map (measured as distance between airfields). Both new bases provide many parking locations to support large missions (large and small aircraft). We think having these two large bases far inland will provide many more mission possibilities for both single- and multi-player. 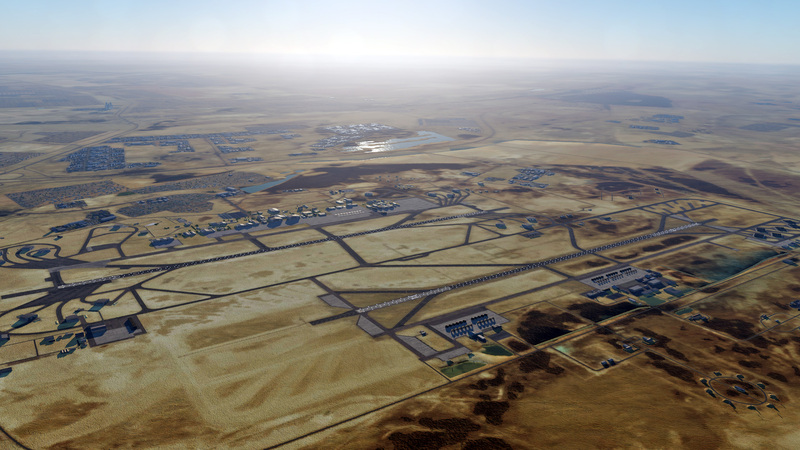 Today, we have a few work-in-progress images around Kerman International Airport. Once these are complete, we plan to add additional airfields and landmarks across the map. 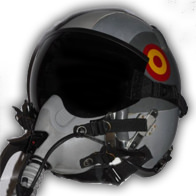 Nuevas bases aéreas y hitos terrestres al mapa del golfo pérsico para la semana que viene. Esta sería ya la tercera mejora del mapa en lo que va de año. Esto hace pasar de 13 a 24 los aeropuertos en la zona. 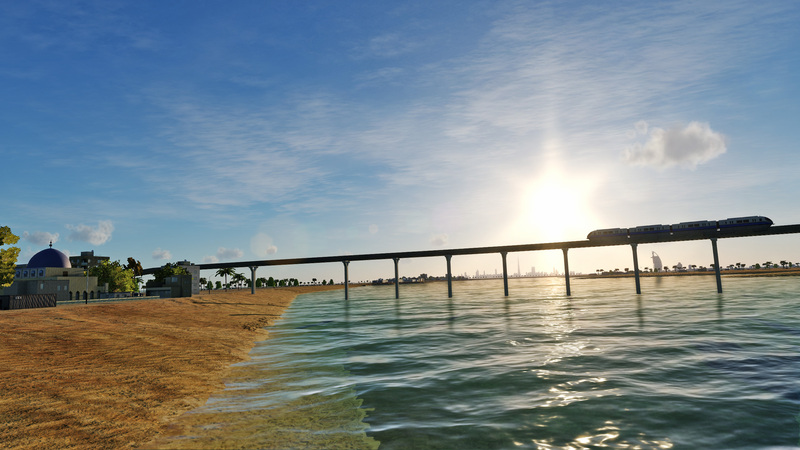 For next week’s DCS World Open Beta update, we plan the 2nd big update of the DCS: Persian Gulf Map! Highlights of map update includes the additions of Kish Island airfield, Al Bateen airfield, Lavan Island airfield, Al Ain airfield, Bandar-e-Jask airfield, Abu Dhabi International Airport, Sas Al Nakheel airfield, Abu Dhabi National Exhibition Center, and the Yas Viceroy with Formula 1 racetrack. ED sigue trabajando en otros mapas (por ahora conocemos Afganistan, Siria y el estrecho de Dover). 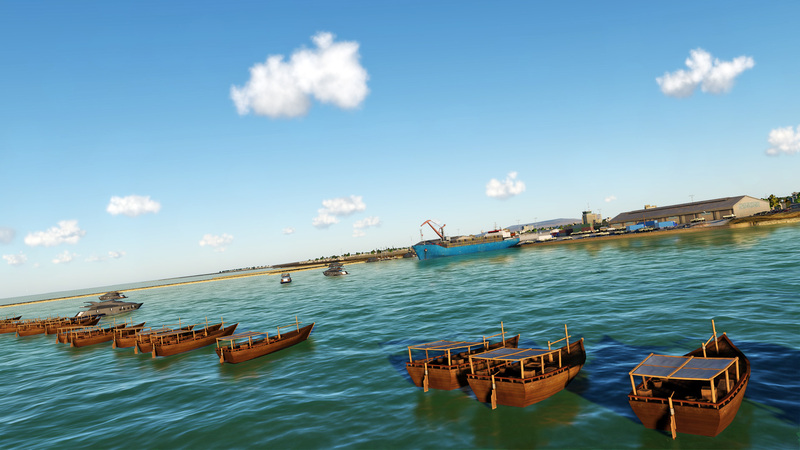 Our map team continues to go above and beyond by adding new content to the Persian Gulf map. 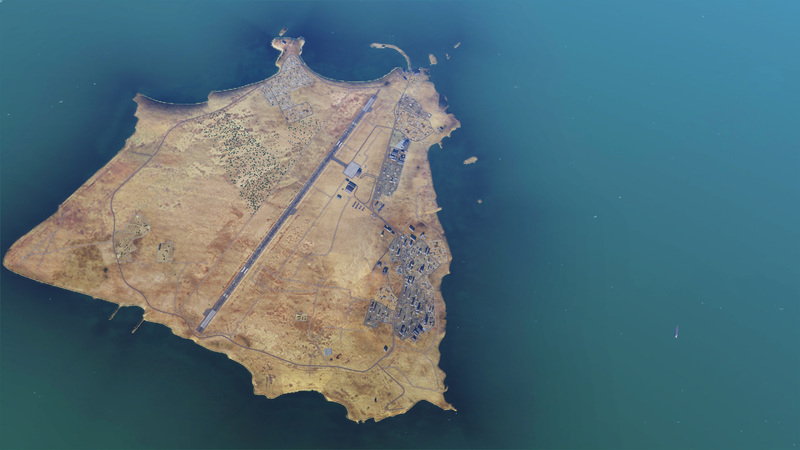 With the new additions, the Persian Gulf map will be the largest map in DCS World (as measured as distance between airfields) and have the most airfields. These additions will be included in an upcoming map update. 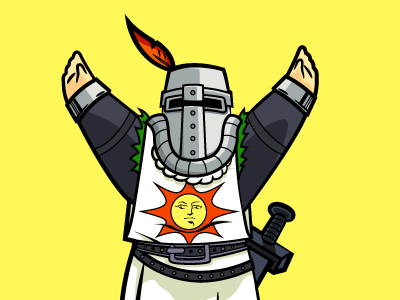 La verdad es que es un mapa muy bonito; ahora que he conseguido un poco más de rendimiento, estoy volando más aquí que en Nevada y hay zonas muy chulas.